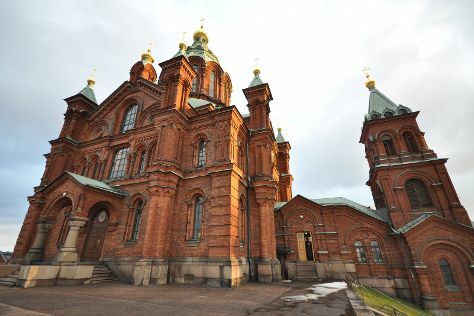 Kick off your visit on the 8th (Thu): pause for some serene contemplation at Helsinki Cathedral, make a trip to Senate Square, and then contemplate in the serene atmosphere at Uspenskin Cathedral (Uspenskin Katedraali). To see reviews, photos, more things to do, and more tourist information, read our Helsinki driving holiday planner . If you are flying in from Bulgaria, the closest major airport is Helsinki Vantaa Airport. August in Helsinki sees daily highs of 24°C and lows of 13°C at night. Wrap up your sightseeing on the 8th (Thu) to allow time to travel back home.